Murrell School at 1450 14th Ave S is for sale. MDHA has offered $13 million. So far no deal has been made. NASHVILLE, TN — Metro schools and Metropolitan Development and Housing Administration (MDHA) have been talking about making a land swap. Nashville School of the Arts on Foster Avenue is located in a big rambling complex that includes a court that adjudicates asset forfeitures and other administrative offices. Director of Schools Dr. Shawn Joseph wants to build a new campus on Hermitage Avenue for the School of the Arts. MDHA owns a parcel of land that fits the bill. There is another piece of adjacent property Metro Schools needs to buy in order to build a new arts facility. Metro Schools got the money to buy the state-owned property last year but has twice delayed making the purchase. Joseph is under pressure to make that deal by the end of July. Meanwhile, Murrell School sits empty on the biggest piece of green space in the Edgehill neighborhood. 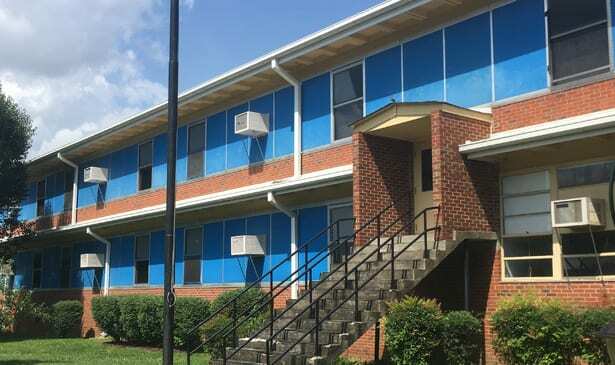 Seventy Special Ed kids with behavioral problems are being relocated from Murrell to Glenn School in East Nashville. Students from Glenn will attend Caldwell school about a mile away. There will be 413 students at Caldwell Enhanced Option Elementary and the school will be renamed. Murrell School needs new air conditioning and about $10 million in repairs. Glenn School is bigger and in much better shape. According to Jon Cooper, Metro’s chief attorney, there is precedent to swap Murrell School for MDHA’s parcel on Hermitage Avenue. As an example, Cooper cited the relocation of the old Lentz Health Center at 311 23rd Ave. N to 2500 Charlotte Ave. Normally when one city department wants property another department doesn’t need or want anymore, it first must be declared surplus and then a transfer can be made without any money actually exchanging hands. It is unclear how the land swap idea went sideways but if anyone can draw blood from a stone with the city’s current budget woes, it is Talia Lomax-O’dneal, Metro’s Director of Finance. O’dneal wrote to the City Council telling them Murrell School was up for sale. Cooper said MDHA wants to purchase the Murrell School property at fair market value. In a letter to Mayor David Briley dated May 10, 2018, MDHA Executive Director Jim Harbison offered $13 million for Murrell School. 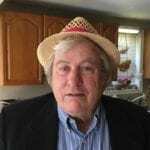 While MDHA officials think the price is inflated, Jim Harbison is what you would call a motivated buyer. He doesn’t want the property to be sold to anybody else. “This sale to MDHA will assure protection for our residents’ current activities and for them as we construct Envision Edgehill,” Harbison wrote Briley. There is a community garden in one corner of the property that Harbison said will stay if MDHA buys or trades for Murrell School and the 7.2 acres of land it sits on. MDHA says green space is one of their goals. Cooper said the City Council would have to approve any real property transaction in any case. In a conference call Tuesday, District 17 Councilman Colby Sledge, MDHA’s Jim Harbison, a member of Mayor Briley’s staff, and a representative from Metro Schools discussed the Murrell School property but no terms were set or accepted by either MDHA or Metro Schools. Previous articleIs Brushing With Toothpaste Important?